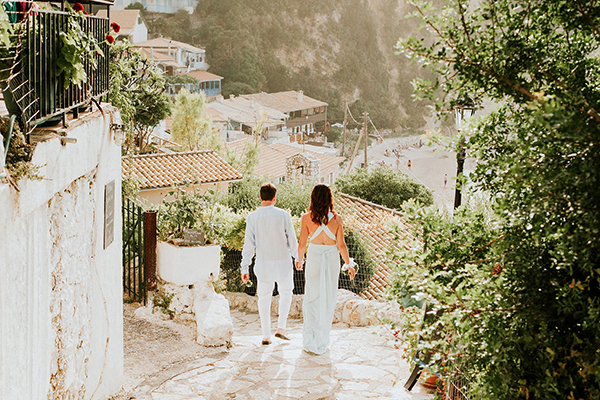 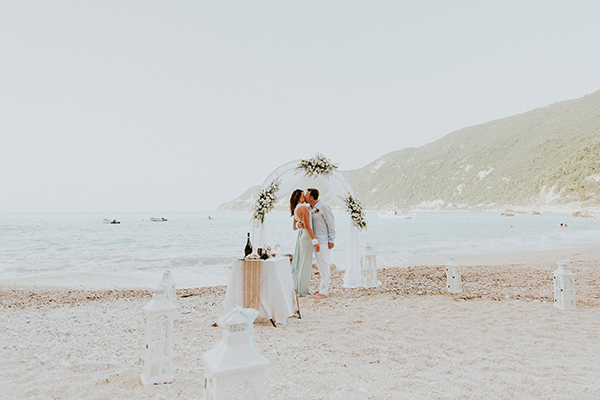 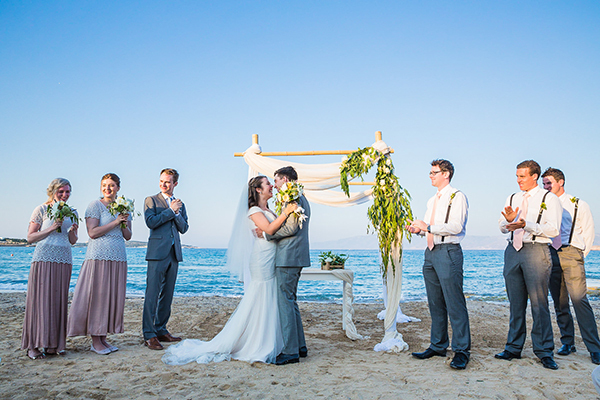 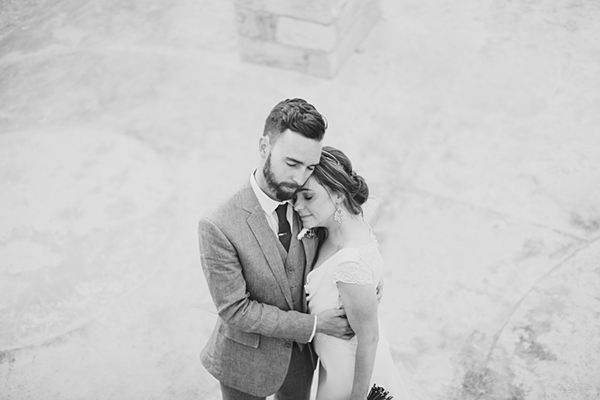 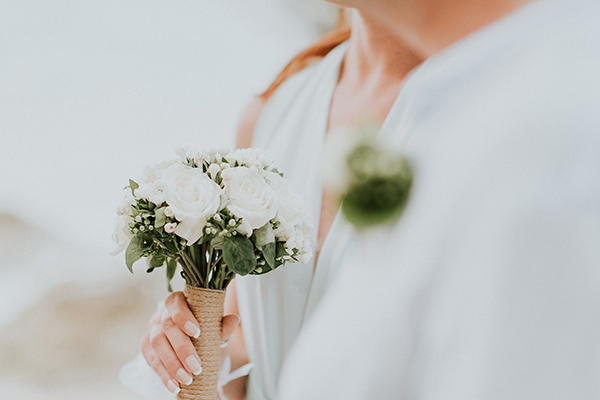 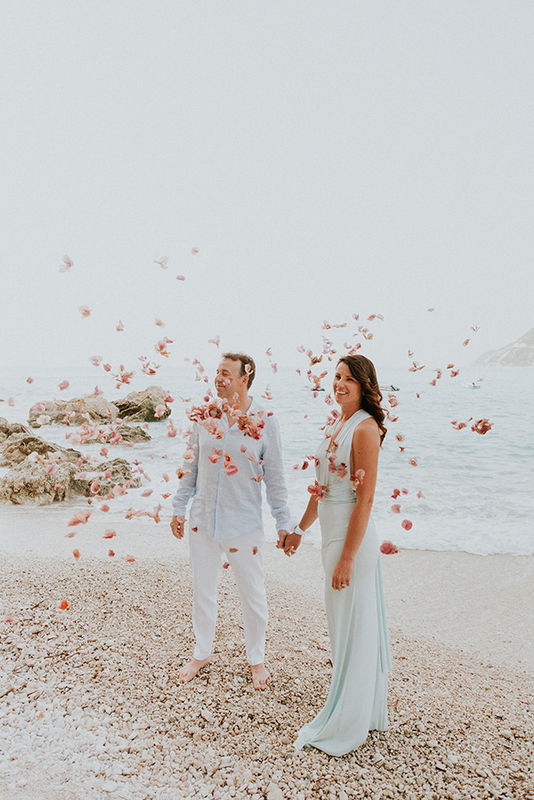 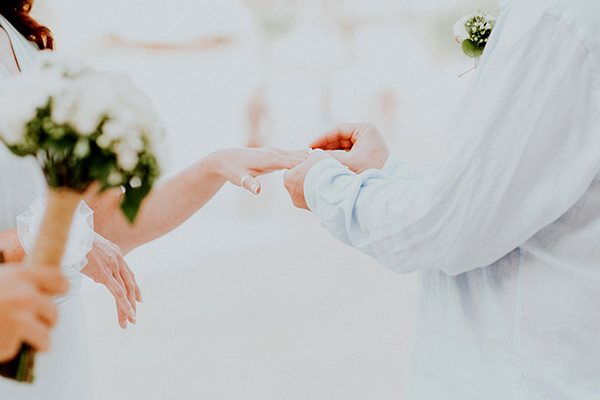 We are in love with this simple beach wedding in Lefkada! 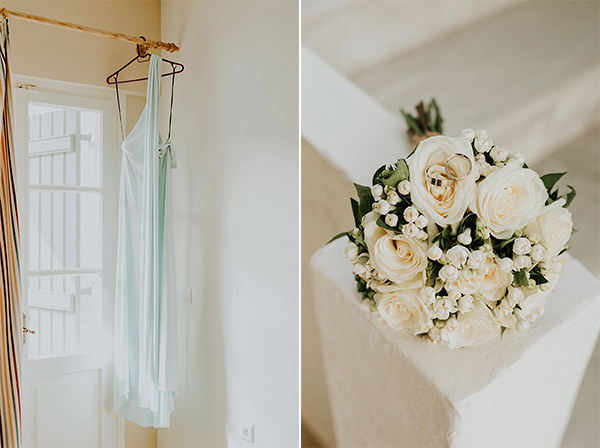 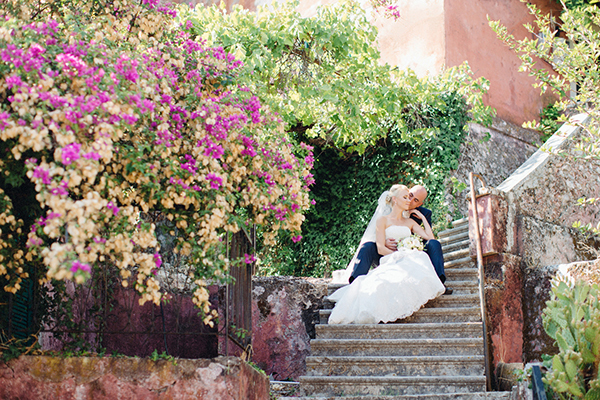 By the sea, with white roses and a pale blue wedding dress is just beautiful! 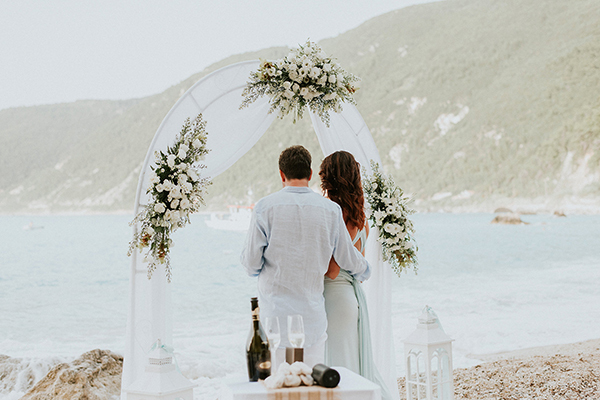 “Few years ago I have been there for holidays and I really liked it…beaches, delicious local food, nice and warm people… So we were looking at pictures online and we decided that Lefkada was the perfect place for our wedding”. 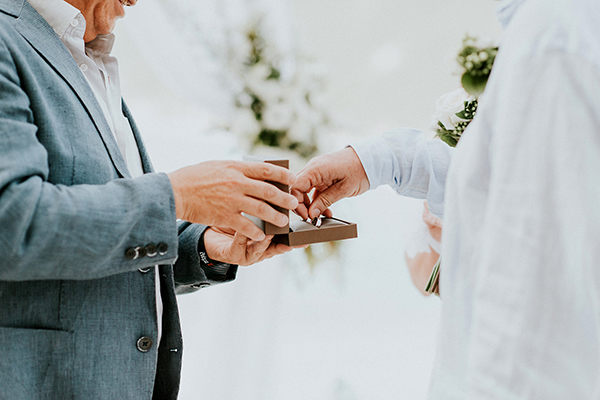 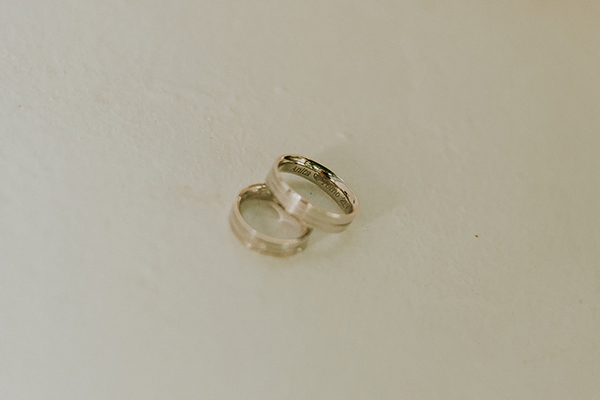 “The best moment of our wedding was when we exchanged rings”. 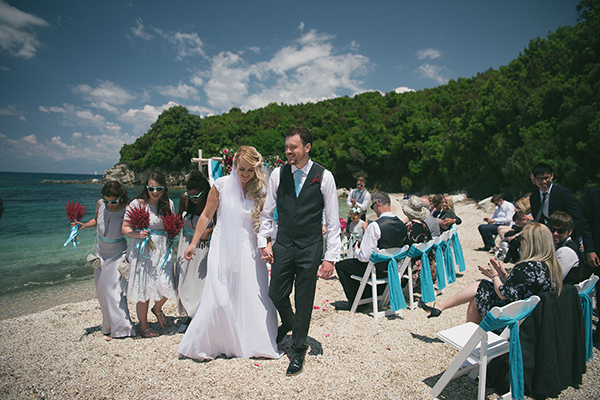 “I bought my wedding dress online from Asos. 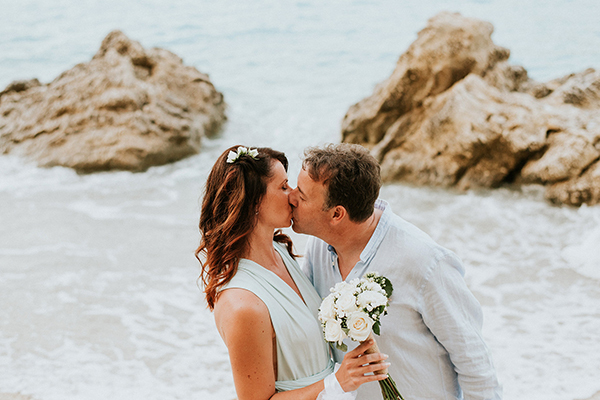 I wanted it simple and easy to wear on the beach. 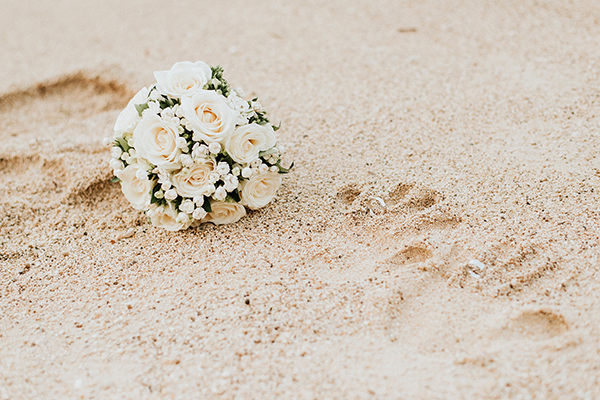 A big wedding dress is not suitable for a beach wedding”. 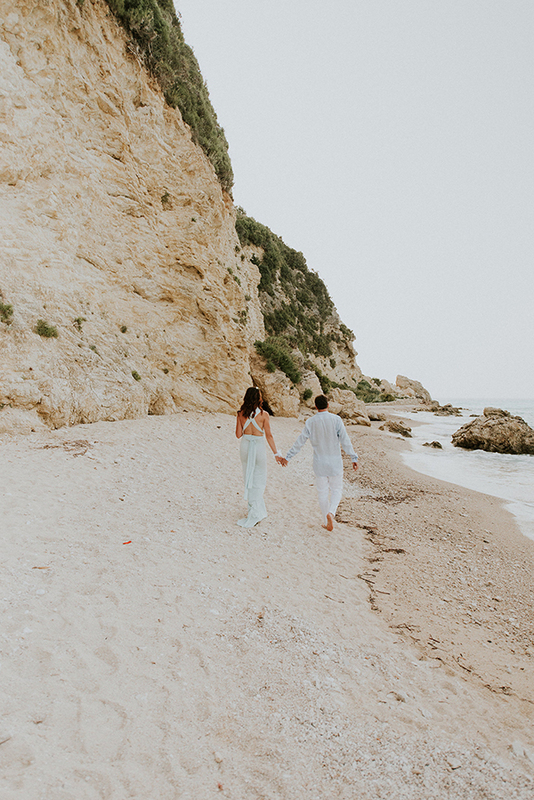 “We found inspiration for our beach elopement on the internet, instagram, pinterest and travel agency”.